Did you lose money investing in Puerto Rico COFINA Bonds at the recommendation of your broker? If so, the attorneys at The White Law Group may be able to help you recover your losses by filing a FINRA Arbitration against the brokerage firm that employs him. What are Puerto Rico COFINA Bonds? 39.2 percent of the tax revenue (2.75 percent overall) goes to COFINA bondholders. COFINA was created in 2006 to refinance appropriation debt of the Commonwealth of Puerto Rico ($6.8 billion 6-30-06). Legislation in 2009 expanded the corporate purpose to include funding of the Commonwealth’s deficit through 2012 as well as certain other needs. Between 2007 and 2010, COFINA –the Spanish acronym for Puerto Rico Sales Tax Financing Corporation– had issued more than $14 billion in senior and subordinated debt. This was based on a broad based consumption tax, offering strong revenue support and debt service coverage. At that time, current collections were estimated to equal only 50-60% of potential collection and non-impairment provisions of enacting legislation protected the revenue source. The bonds were secured by sales tax revenues based on the Commonwealth’s 5.5% sales tax with another 1.5% to be levied by local municipal governments. The tax was applied to most products and services but excluded automobiles and energy. The Secretary of the Treasury had authority to establish further exemptions and limitations. Certain goods and services could be exempted if the governor declared a state of emergency. In 2008, the legislature created a three day back-to-school holiday when tax on some items was exempt. Last month, Puerto Rico and its federal financial oversight board got hit with an onslaught of lawsuits from COFINA bond holders, GO bondholders and bond insurer Ambac Assurance Corp.
COFINA bondholders allege that the island’s debt-cutting plans violate the U.S. Constitution. The GO bondholders are demanding payment on $242.5 million of debt defaulted upon since July, and damages and interest of more than $102 million. Ambac, which insures $2.2 billion of Puerto Rican bonds, filed four lawsuits, including two against the island’s government and another against U.S. Treasury Secretary Steven Mnuchin, seeking a lien on Puerto Rican rum taxes collected by the U.S. Treasury Department. Although Puerto Rico’s constitution guarantees the debt of GO bondholders, and COFINA debt is backed by revenue streams from tax proceeds, questions remain as the battle continues. While GO bond holders may have an advantage out of court, the opposite may be true in bankruptcy where unsecured debt may not take priority over debt backed by revenue. Nonetheless, Moody’s has rated the commonwealth’s GO and COFINA debt on equal footing, forecasting recoveries for both between 65 and 80 cents on the dollar, and ahead of debt from Puerto Rican agencies like the Government Development Bank, which it sees as recovering less than 35 cents. 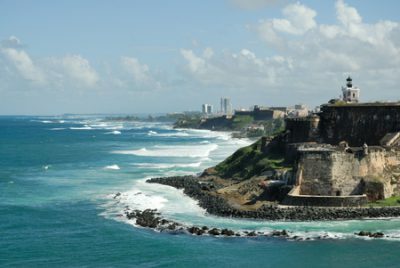 If you suffered losses investing in Puerto Rico COFINA Bonds, the attorneys at The White Law Group may be able to help you recover your losses by filing a FINRA Arbitration claim against the brokerage firm that recommended the investment to you.